The TFV12 Prince Tank features a new Cobra wide bore drip tip made with dyed resin materials and a striking snake scaled pattern. 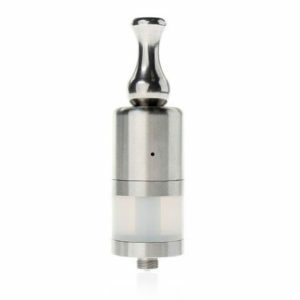 This is a top tiered performance driven tank with exceptional cloud chasing production and universally appealing design heralding the newest generation of SmokTech Atomizers! 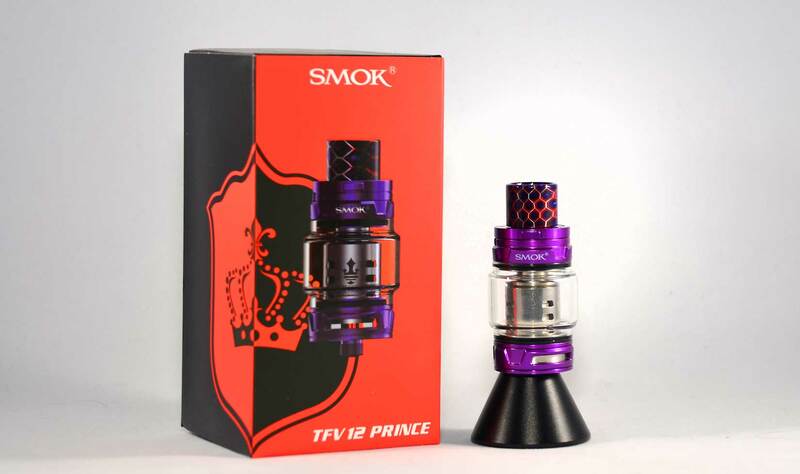 The TFV12 Prince Tank features significant structural upgrades from the TFV12 Cloud Beast and utilizes the all new V12 Prince Coil System. 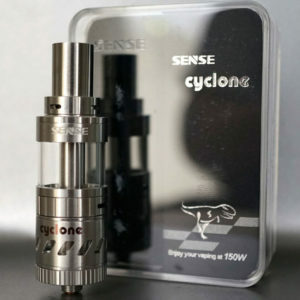 It has a 5ml capacity tank (8mL when using the new Convex bulb extension glass.) that features a bottom airflow and food-grade glass materiel. 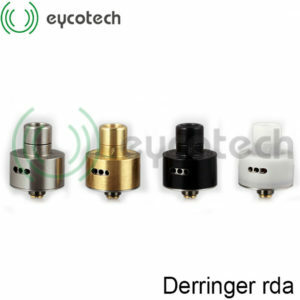 The new “Press-To-Open” rotary hinged Top Fill system features a new locking system. 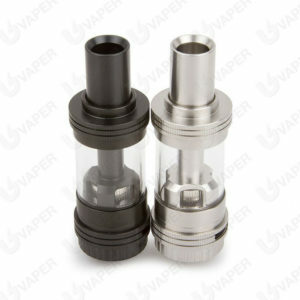 The 5mL Capacity can be upgraded to 8mL when using the new Convex bulb extension glass.